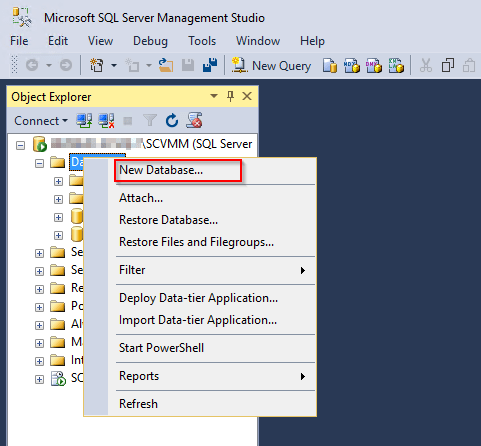 The only database we will place here (during the guide) is the VMM database. 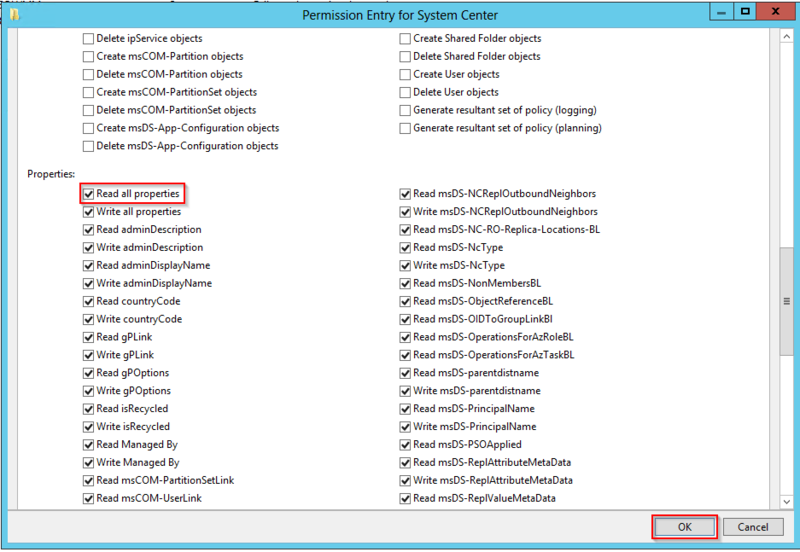 For reasons I’ll explain a little further on, I had to go with the Enterprise edition of SQL, be aware though that only SQL Standard licensing is covered when using the Cloud Platform Datacentre licensing model for System Center. …a high-availability and disaster-recovery solution that provides an enterprise-level alternative to database mirroring. 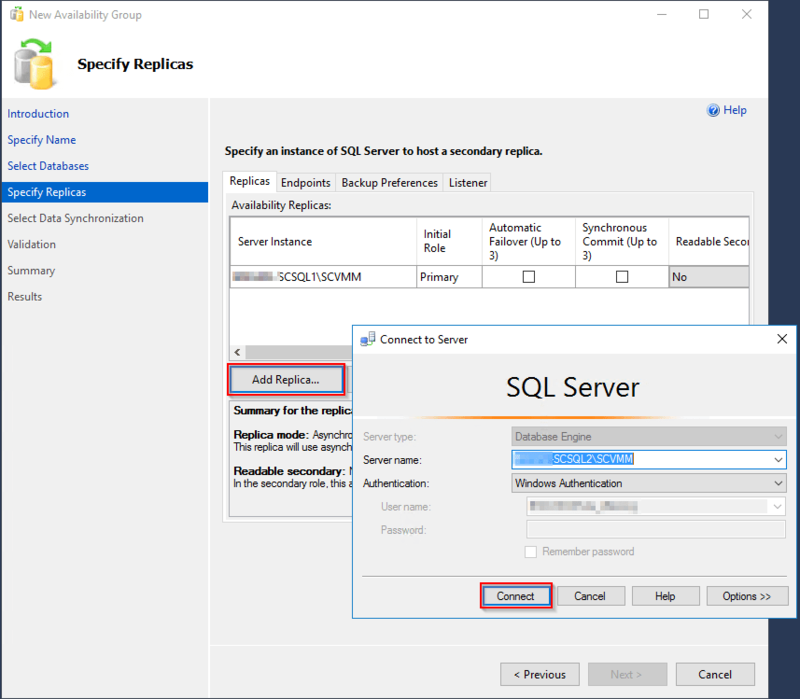 Introduced in SQL Server 2012, Always On Availability Groups maximizes the availability of a set of user databases for an enterprise. 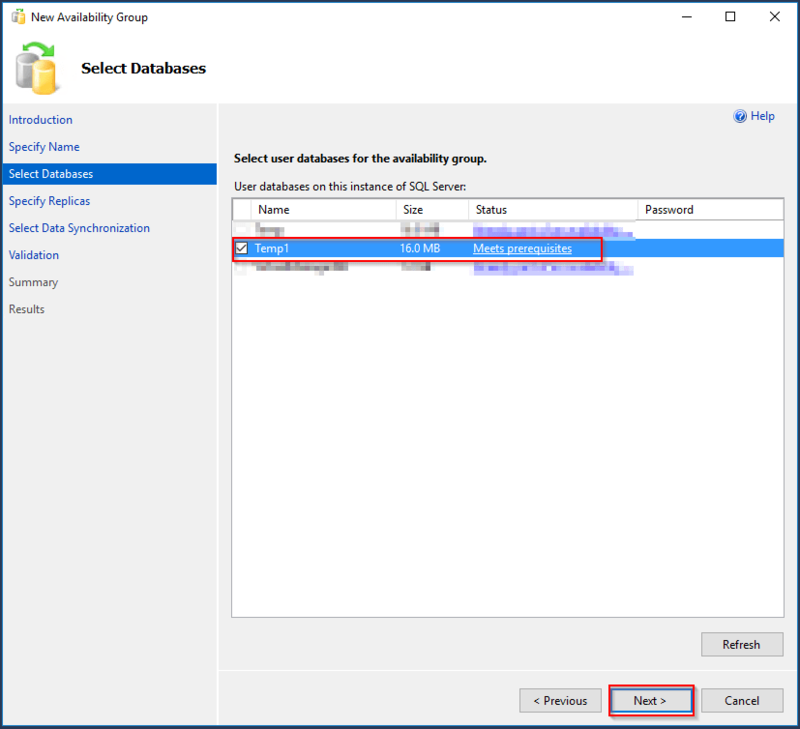 An availability group supports a failover environment for a discrete set of user databases, known as availability databases, that fail over together. An availability group supports a set of read-write primary databases and one to eight sets of corresponding secondary databases. 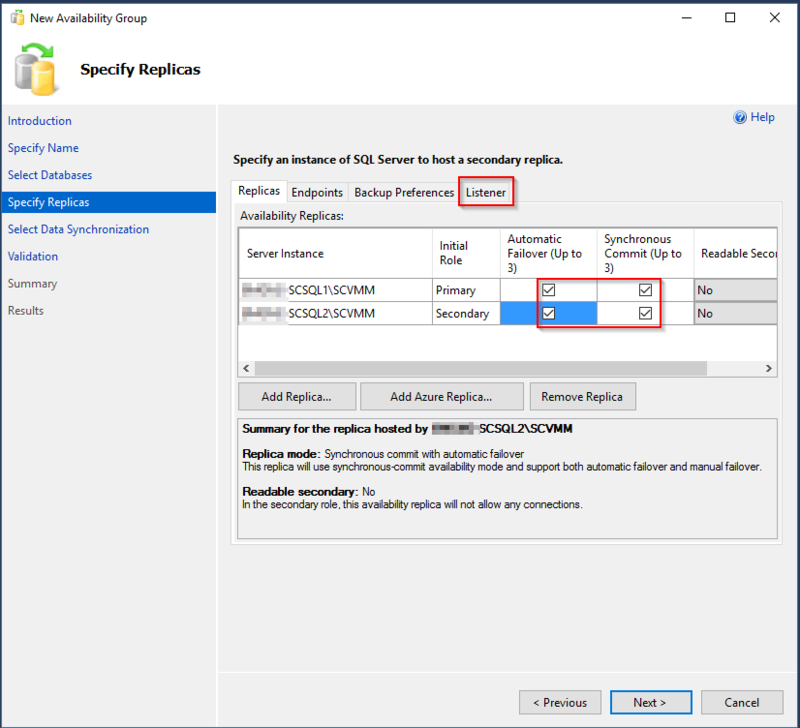 Optionally, secondary databases can be made available for read-only access and/or some backup operations. 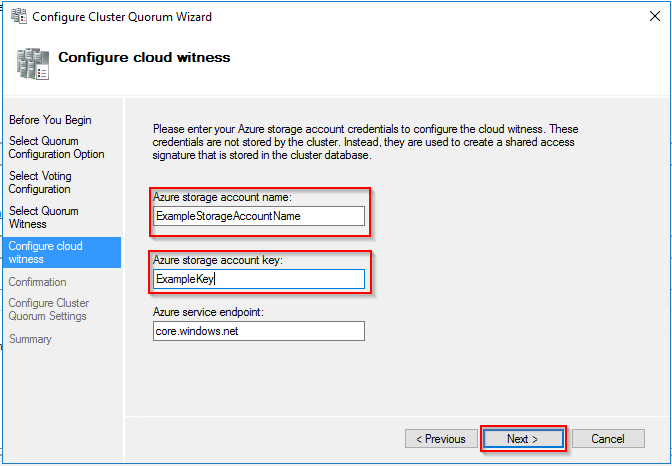 A nice feature called Cloud Witness was added to Failover Clustering in Server 2016 which allows users to create a cluster quorum that sits in an Azure Storage Account. From here you should be able to copy the key you need to the clipboard (See screenshot). Armed with this information, let’s go back to Failover Cluster Manager and configure our quorum. 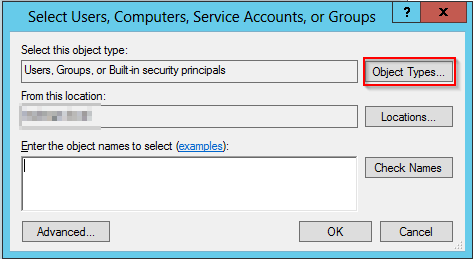 If you don’t have access to an Azure account, you can still configure a quorum using the methods available in Server 2012 R2 and before. 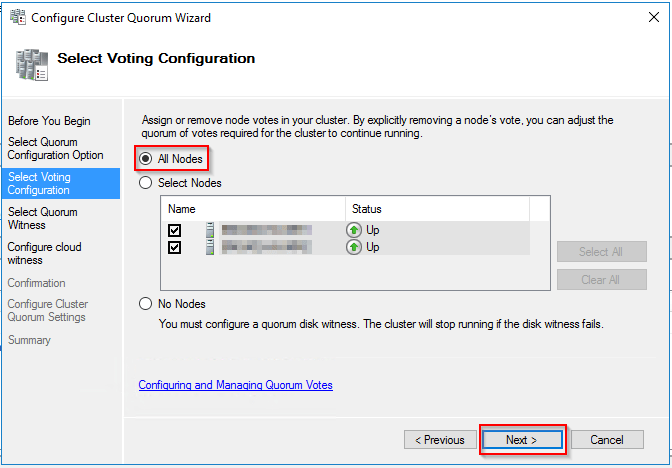 The following TechNet article provides a wealth of information of cluster quorums and their setup (the article is for Server 2012 but is still relevant in 2016 unless you’re using a Cloud quorum). However, we’re using a cloud witness so let’s get on with it shall we? 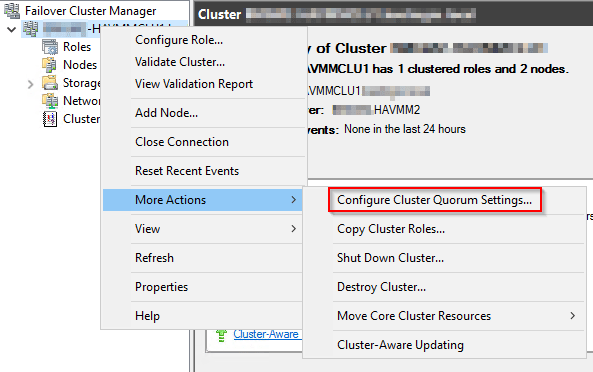 You should now be able to see your quorum listed under the core resources of your cluster…good job! 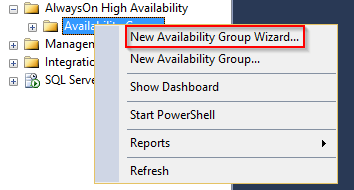 Armed with a fresh new SQL deployment, we can now start to configure our availability groups. 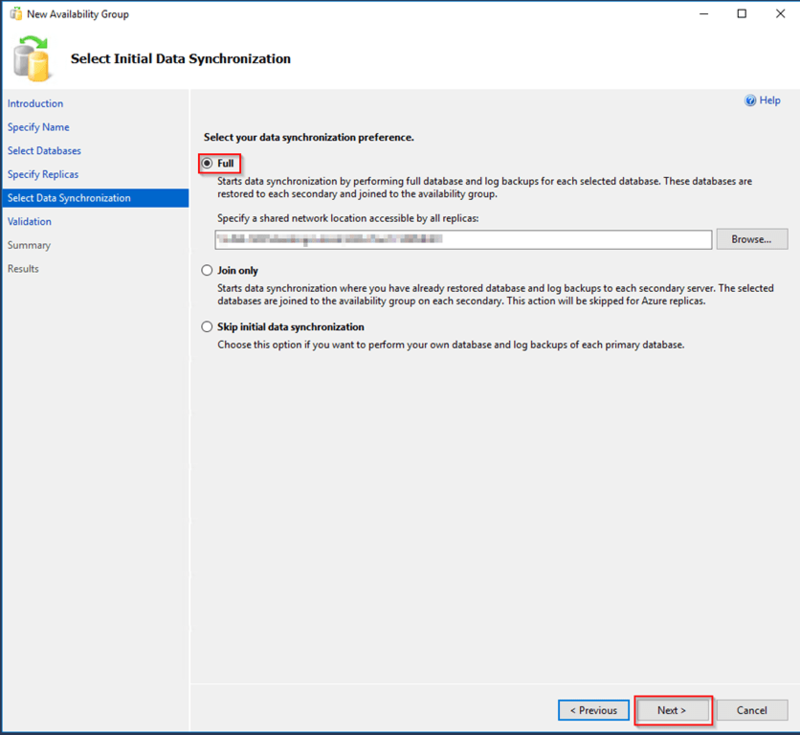 As I mentioned above, we’ll be using this SQL deployment to host our SCVMM DB but the intention would be that any other System Center DBs you have or will add later should be placed here also. 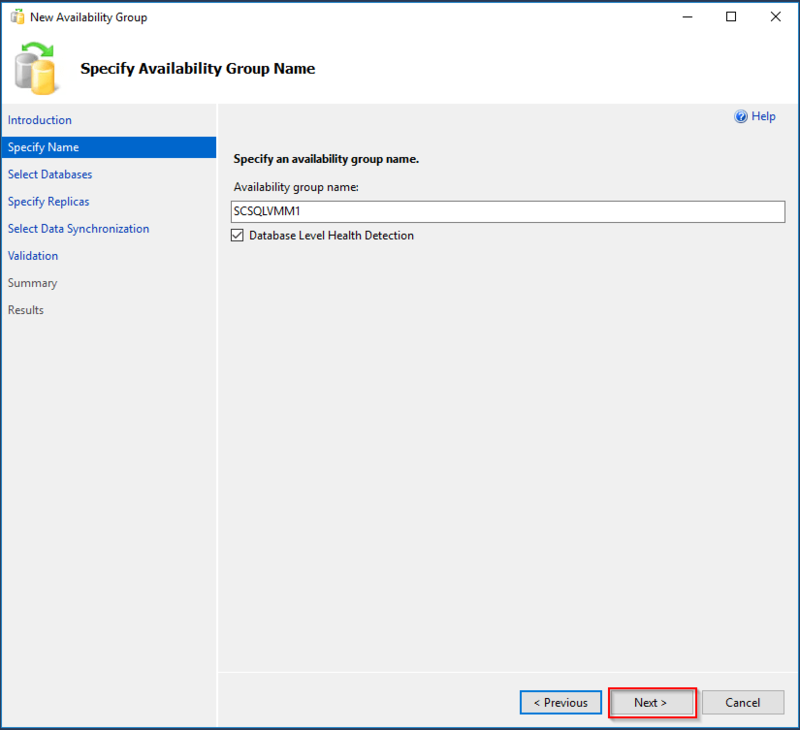 One of the limitations of using SQL Standard is that you can only have one DB per Availability Group, which doesn’t sound like an issue as you can just create a new availability group per DB. However, it does mean that you can’t group databases together that will fail over together. 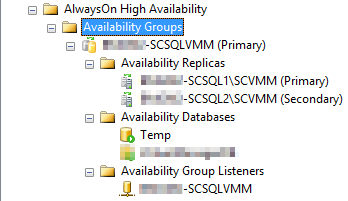 The reason I chose to go with SQL Enterprise though is because of the way Availability Groups are created and the issue this caused me while running through the SCVMM installation, more on this to follow. 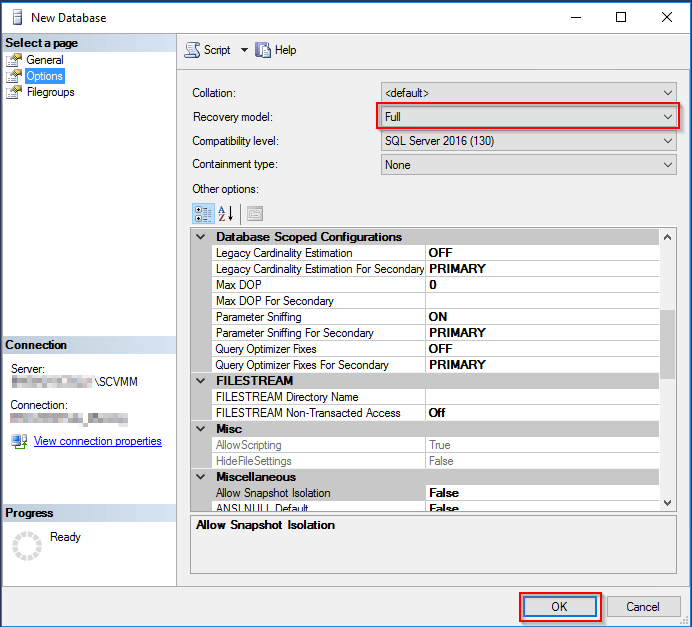 Open up “SQL Server Configuration Manager”, select “SQL Server Services” on the left pane and right-click your SQL instance on the right pane and select “Properties”. 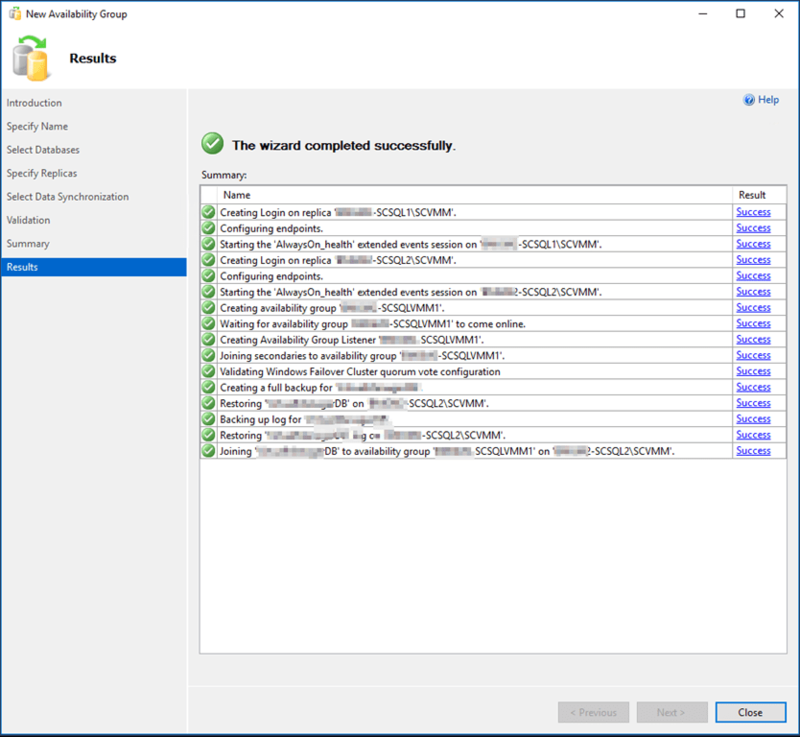 Pre-stage the SCVMM DB on SCSQL1 and point the SCVMM installer towards it (at this point you could also just let the installer create the DB, the outcome will be the same). The installation completed successfully but we now have a DB that isn’t a member to an Availability Group. 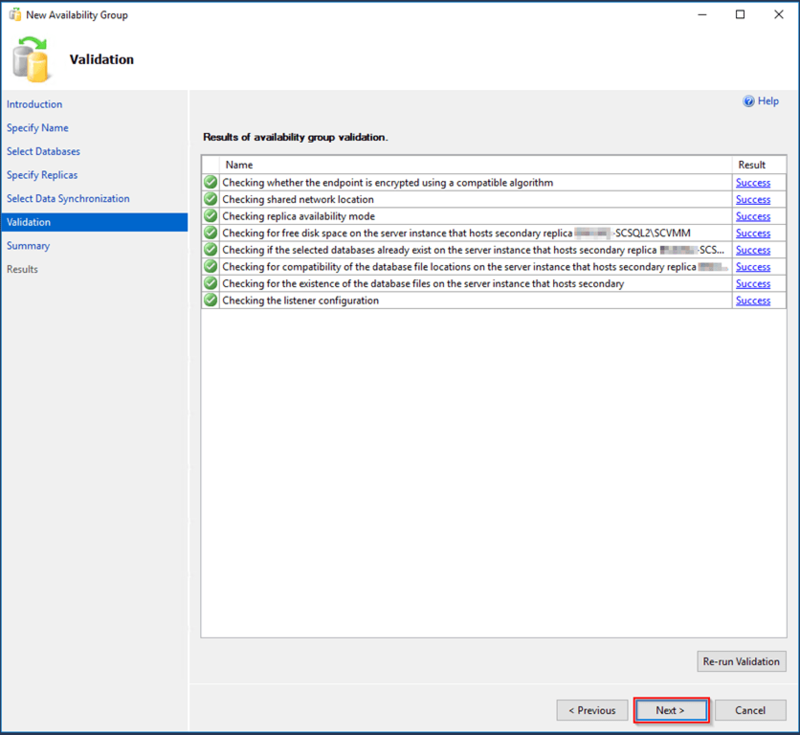 When adding the DB to an Availability Group, its connection string and IP will change and SCVMM is still set to connect to SCSQL1. To change this it’s basically an uninstall/reinstall of the SCVMM management server while retaining the DB. When running through the reinstall, it rolled back and threw an error as it kept trying to change the DB recovery model back to Simple (even though Full was selected when it was created). POINT TO NOTE, it’s entirely possible that you can get this working but for me the installer just wouldn’t complete irrelevant of what I tried. 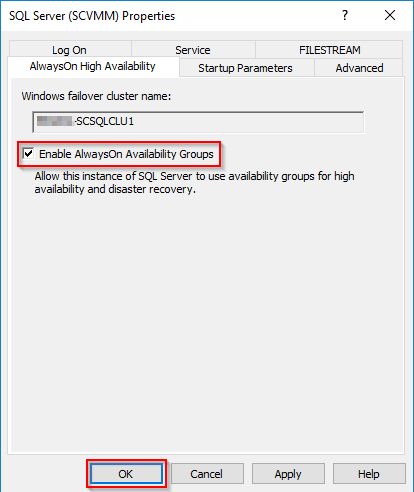 I then decided to install SQL Enterprise as it allows multiple DBs per Availability Group. 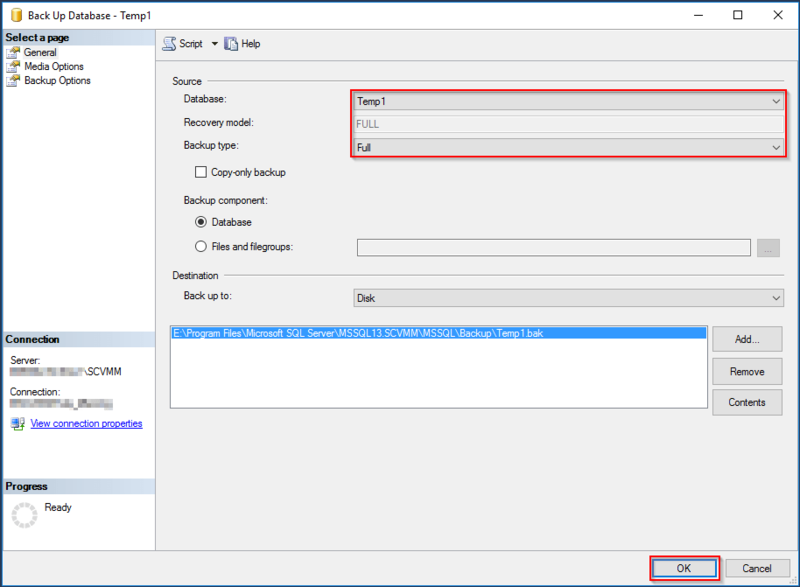 The idea here was to create a temporary DB to get the Availability Group up and running and then point the SCVMM installer towards the group listener and let it create its own DB as normal. This worked without issue. With the above in mind, let’s move on and run through that process. 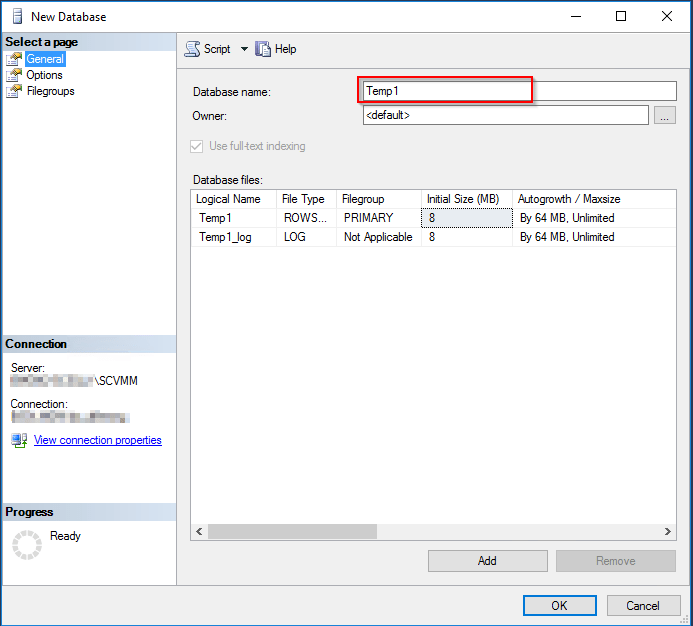 Type a name for your database, this can be anything as this DB can be deleted later. 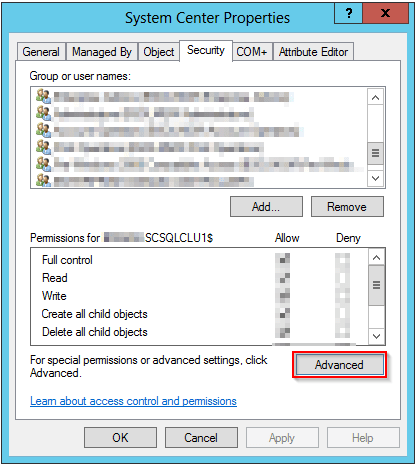 Give your SQL CNO (Cluster Name Object) permission to create object within its OU in Active Directory. 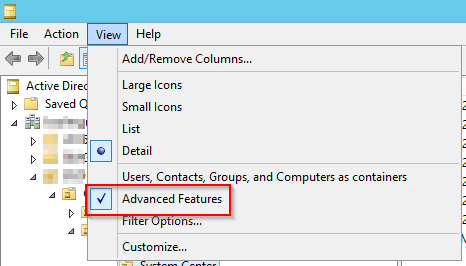 This is a requirement as the cluster needs to create a computer object for the Availability Group that you’re about to add. 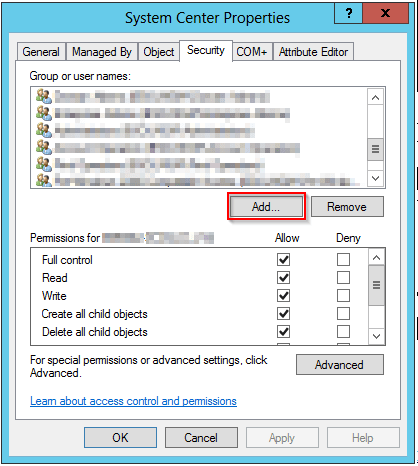 We need to give your cluster computer object specific permissions over the OU it resides in. It needs these to be able to create other computer objects for any cluster roles it deploys. 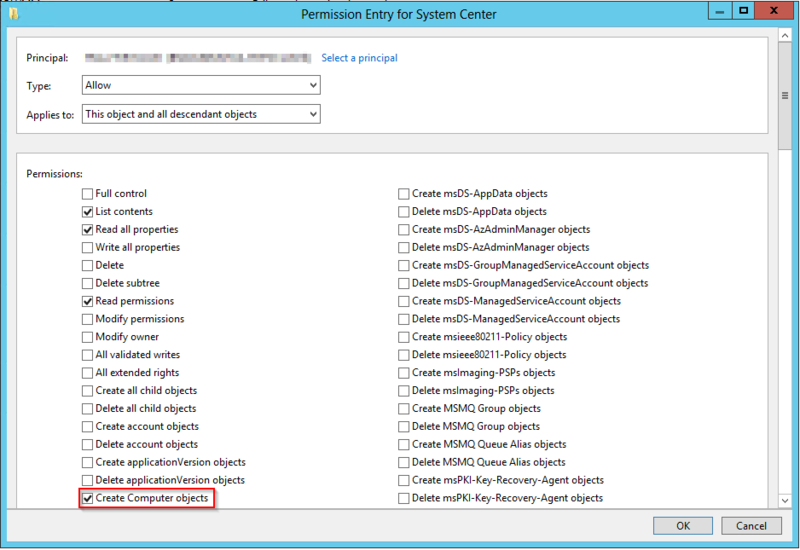 Under “Permissions”, place a tick in “List contents” and “Create Computer Objects”. Select the temp database that you created earlier. Note that the status shows as “Meets prerequisites”. This is because we did a full backup earlier. Now click “Next”. 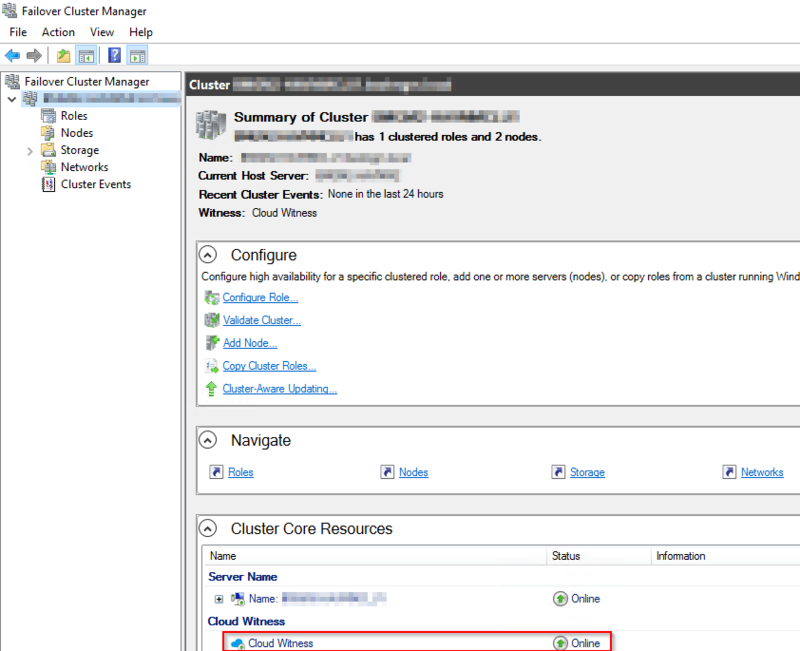 Configure Automatic Failover and Synchronous Commit as show below and click on the “Listener” tab. 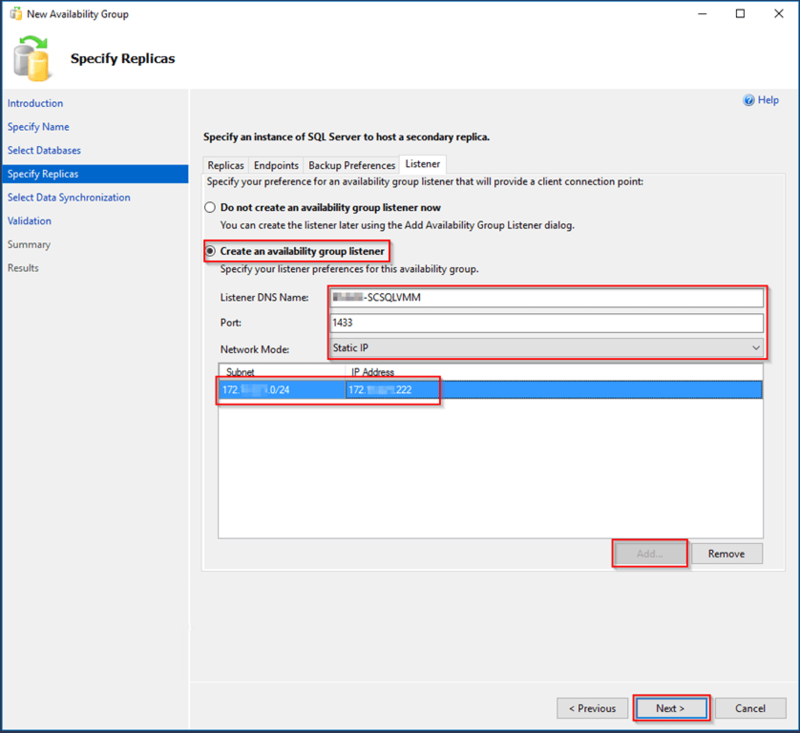 Select “Create an availability group listener now”. 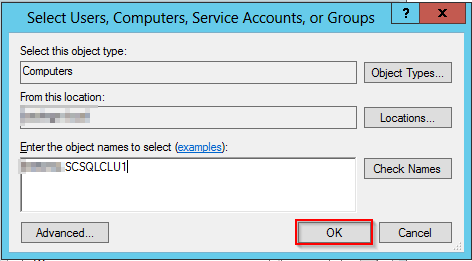 Enter a name, 1433 for the port and select “Static IP” from the dropdown. Click “Add…”, select the correct subnet from the dropdown and type in an IP address. Now click “OK” and “Next”. This screen will run through the validation, assuming all it well, click “Next” and then “Finish”. If there are any errors, you can click on the error link and it’ll give you additional information to assist in troubleshooting. Here’s how your “AlwaysOn High Availability” tree should look now. 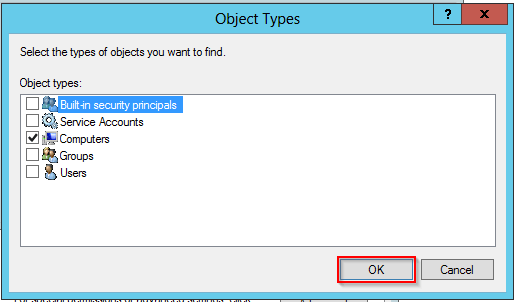 What’s your setup, as I’ve noticed the error you listed contains “sql-dc1” as part of the UNC path. 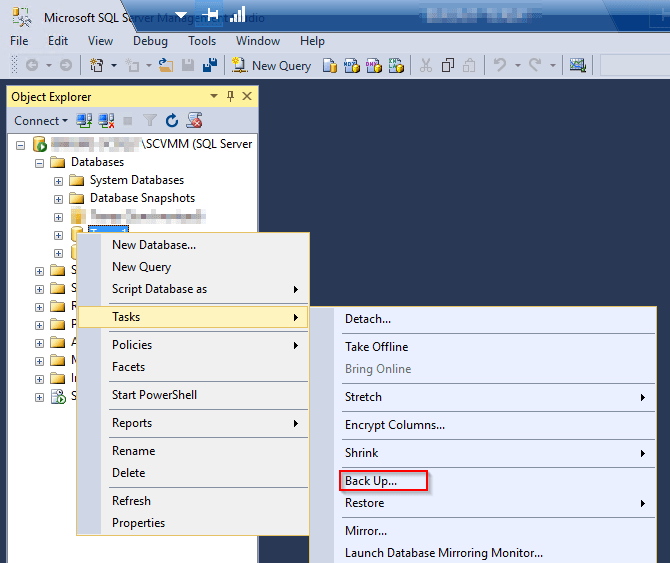 You mention that “sql-dc1” exists on “SQL-SRV1”, can you elaborate a little please?